11,000 IT jobs will be available in the Cincinnati region within the next year – and local employers are looking to fill these tech positions. The Cincinnati USA Regional Chamber and CIO Roundtable are leading a tech talent collaborative designed to expand and diversify the region’s IT workforce. Through a generous investment by JPMorgan Chase, we’ve launched Apprenti Cincinnati. Apprenti Cincinnati is a non-traditional solution to drive more tech talent in and to the Cincinnati region. The program is working with companies large and small to fill open positions with tech-interested individuals, regardless of educational or professional background. Unlike traditional job-training options, apprentices receive 2-5 months of immersive certified technical training before completing one year of paid on the job training at one of the program’s hiring companies. Apprenti Cincinnati is for the broadest range of candidates possible – no IT experience is required, just interest, aptitude and work ethic. Take the first step towards your new career by registering here. The Cincinnati region is an innovative, inclusive and creative future city. It’s enjoying a modern renaissance, and we’re working collaboratively to make sure everyone can participate. This tri-state community is defined by the diversity of industries that drives our economy. The Cincinnati region is not dependent on any one industry or any one company. Instead, our employment landscape offers many options and opportunities – to any person who lives here. With nine Fortune 500 companies within our geography, we excel at creating, growing and sustaining our businesses. Companies are expanding, and industries such as healthcare, manufacturing, consumer packaged goods, financial institutions, and startups are thriving in the Cincinnati region. The startup ecosystem is No. 1 in Ohio and among the top twenty in the nation. If you’re a newcomer (or have employees who are), let us help you to get plugged-in. You’ll have your choice of dozens of meetups, groups and initiatives – all designed to help you find your tribe and your path. This is a place where everyone can make a difference – and we need your help in making Cincinnati the hottest city in America! The CIO Roundtable is comprised of the CIOs from largest IT organizations in our region spanning virtually all industry sectors (e.g., P&G, Kroger, GE, Great American, Western Southern, Christ Hospital, UC, Fifth Third Bank, etc.). Because these 25 companies represent roughly 8,000 local IT jobs, a major focus of the group is the growth and development of the region’s tech workforce. The roundtable leverages its collective scale to collaborate with community leaders (education, economic development, workforce development, and government) on a broad portfolio of talent initiatives that benefit all employers of tech talent in our region. Software Developers are one of the most in demand roles in the Greater Cincinnati area. For our inaugural cohort, employers include Kroger Technology, Great American Insurance Group, Northern Kentucky University IT and Sogeti. 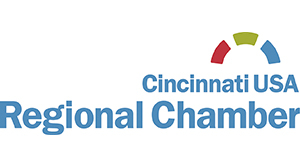 The Cincinnati Chamber is recruiting additional employers and Apprenti candidates in February 2019. The first cohort will begin in April 2019.